NPR Posts Independent Findings On Its Handling Of Sexual Harassment Complaints : NPR Public Editor The report by an outside law firm identifies internal cultural issues that need improvement. NPR's newsroom during election coverage on Nov. 8, 2016. The report of an independent two-month investigation into how NPR's management handled allegations of sexual harassment by Michael Oreskes, the former Senior Vice President of News who was forced to resign Nov. 1, 2017, has been posted at NPR.org, along with a report from the newsroom. The broad outlines of the report show that a first "red flag" about "questionable conduct" by Oreskes was raised during the process of his hiring, in March 2015; that, internally, "flags were raised as early as October 2015," as well as in spring of 2016 through October 2017; and that "attempts by several members of management to counsel Mr. Oreskes about his inappropriate behavior were ineffective." The details, some of which have been previously reported, are laid out in the nine-page report. The report was conducted by the outside law firm of Morgan Lewis, at the request of a special committee of the NPR Board of Directors. Most relevant to NPR listeners and readers, it seems to me, is an ancillary finding of the investigation, what the investigators call "a significant amount of feedback about the perception of a culture at NPR that favors men." The report, which was based in part on interviews with 86 current and former employees, called the findings relevant "because many employees believe that this kind of culture can foster harassment and bullying." "We observed a widely held belief by female staff members that there is an imbalance between men and women in promotions, opportunities, and compensation. Women feel that they are paid less than men in equivalent positions and receive fewer promotions and opportunities to take on additional responsibilities. Several interviewees also felt that men with little to no experience were hired into positions for which they were not qualified. For both men and women, there is a lack of management training that many feel results in having ineffective managers. Many staff members believe that managers are able to take advantage of a lack of set expectations to bully and undermine their subordinates professionally. There is also a perception that men at NPR can gain power not only by being in high-level positions, but also by having a significant amount of tenure and being perceived as having influence with those in high- level positions. In other words, it is not necessary to have a high-level position to be seen as someone who is 'untouchable.'" The report also identified an issue that management has previously discussed, concerns about NPR's long-time reliance on large numbers of temporary staff members. Those employees fear speaking up because it could hurt their chances of getting a full time job. 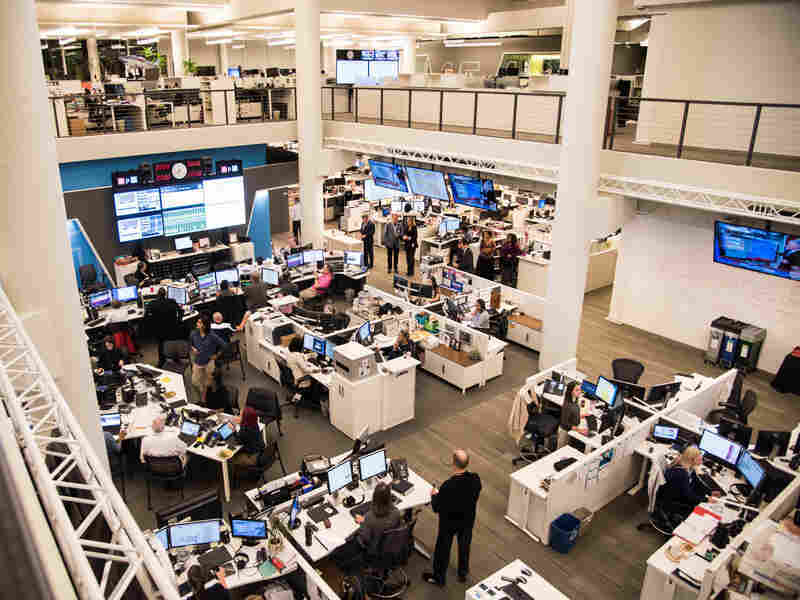 From the days of its "founding mothers," NPR has historically had an exceptionally high number of prominent women in the newsroom and the latest employment figures showed that the newsroom was more than 56 percent female as of Oct. 31, 2017. So the findings regarding "a culture at NPR that favors men" are particularly unsettling. Wonya Lucas, president and chief executive of Public Broadcasting Atlanta and chair of the NPR board's special committee, said in an interview that, for her, "the cultural issues at NPR, having worked with journalistic organizations in the past, are not surprising in and of themselves." But she called them surprising for NPR. "It is a very different type of organization than traditional news organizations and by that I mean, service to the public. It is a mission-based nonprofit, with high journalistic standards." Paul G. Haaga, Jr., the board chair, who was also the acting chief executive of NPR for nine months in 2013-2014, called the culture findings "the biggest surprise and also the biggest disappointment." He added, "I missed it and it clearly must have been going on while I was here." Asked about the report's findings about how management responded when harassment incidents were raised internally, Haaga said, "management will be the first to tell you that they don't think they acted appropriately," with what he called missed opportunities and judgment calls that, had they to be made again, would be handled differently. Lucas and Haaga said they expect that the board will adopt the recommendations made in the report, which include a suggestion that NPR "conduct a gender equity study of compensation and promotions," and consider adding management skills training and civility training, and implementing an anti-bullying policy. The report also found "room for improvement in NPR's complaint reporting and investigation process," in addition to some steps that have already been taken (which NPR detailed last week). NPR has already made its complaint process clearer and created alternative ways for employees to make complaints, including through a whistleblower hotline. The report also recommended that NPR beef up its background checks for new hires, "conduct companywide sexual harassment training," in person (as opposed to, say, online), and "retain an outside firm to conduct investigations into sexual harassment complaints for some period going forward," in order to "insert a level of objectivity into the process that many perceive is not present." In addition, the report recommended that a periodic report be generated about the number of sexual harassment complaints and their status, and that the information be communicated to the board or one of its committees. Lucas said she is encouraged that "management has already started taking steps to improve the cultural issues." She said she hopes listeners understand that NPR and the board and management "take these issues very seriously," starting with hiring the law firm to conduct an independent investigation. "We across the board are taking accountability for this organization," she said, and putting forth a set of recommendations "that we think begin to address the cultural issues." NPR's board is expected to discuss the report in open session on Thursday.